Compatible with 12 mm ID/16 mm OD hoses. Compatible with 6 mm (1/4") - Standard Airline Tubing. Suction cups included. Rinse glassware with warm water. Cut filter hose (Compatible with 12 mm ID / 16 mm OD filter hose) to appropriate length so that inline diffuser will hang vertically next to aquarium glass when filter outflow is placed on aquarium. Attach aquarium hose, ensuring that diffuser disc faces “up” toward outflow. 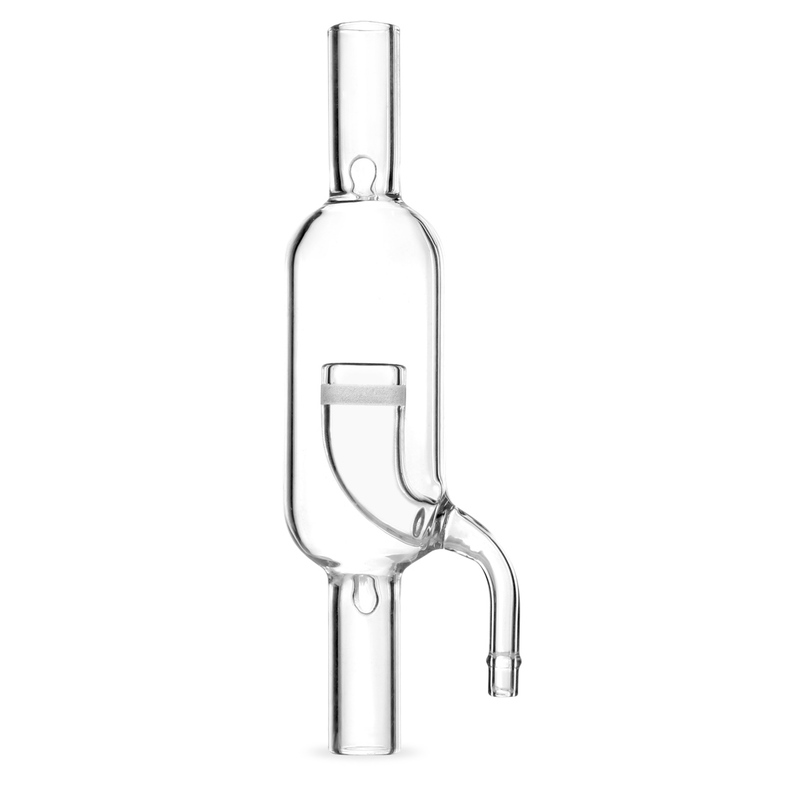 Attach suction cups and desired tubing (Compatible with 6 mm (1/4") - Standard Airline Tubing) to the CO2 in line of the diffuser. To attach tubing and hose to glassware, wet the inside of the tubing or hose with water at the attachment point and carefully slide tubing over glass. The use of other lubricants is not advisable as these usually make the tubing slide off of the glassware too easily. To avoid breakage when removing tubing or hose, do not pull tubing off of glassware. Instead, cut tubing or hose carefully along the attachment length to release the glassware. Mount your inline diffuser using the suction cup(s). It should be positioned so that it sits vertically on the side or back of the aquarium. When removing or repositioning the diffuser, pull by the suction cup(s) rather than the glass to avoid breakage. Once securely mounted, turn on filter. Ensure that water passes through diffuser and into aquarium without leaks or bubbles. Turn on CO2. Observe bubble count (bubble counter not included) and adjust CO2 to desired flow rate. Seachem Bubble Counter available for easy monitoring of CO2 flow. My filter hose is too small/large for the inline diffuser. Can I still use it? A: The inline diffuser is available in two sizes for filter hose with an inner diameter of 12 mm (fits the 13 mm Inline Diffuser) or 16 mm (fits the 17mm Inline Diffuser). If your filter is significantly larger or smaller than this (to the point that it cannot use filter hose of this size), it is recommended to opt for an in-tank filter like the Seachem Beetle Diffuser or Seachem Spiral Bubble Counting Diffuser.